Now back to my writing goals, since that's what this bootcamp is about. 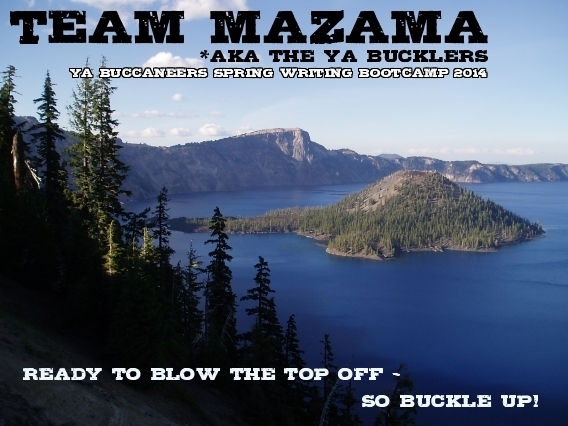 This week, I'll be working on a synopsis of my YA WIP. I'm not quite sure how long it will take—synopses can be tricky beasts. Luckily, I do have most of the book mapped out already, either in actual draft form or in bullet points. When the synopsis is done, after I've made a few small tweaks to the first three chapters, I think I'll dive into Chapter 4 and beyond. While I've first-drafted many more chapters than that, I recently changed from 3rd person to 1st and tweaked a major character's role, so I want to kind of simultaneously revise/re-draft the parts that are already written to reflect the new beginning. 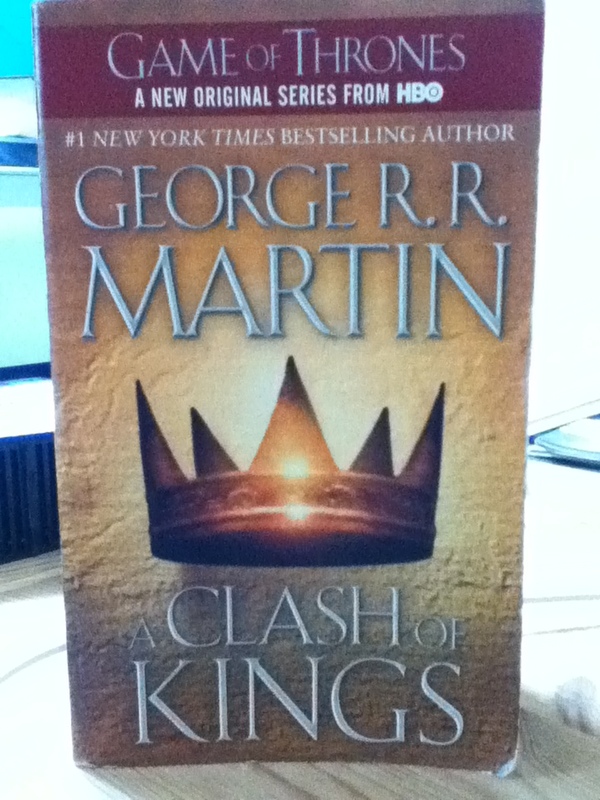 Friday Reads: "A Clash of Kings" — plus a plea for book recs! I am in awe of Martin's world-building. The appendices at the back of the book alone are astonishing. He lists every member of every House, from the lords and ladies and their descendants (living and deceased, including certain bastards) down to the squires and maesters and many other servants. And read as a companion to the TV show, which I LOVE, the books provide so much nuance and depth. I spent a lot of time telling my husband, "So, you know how in the show, this character does this? In the book, this character actually has that same interaction with this other character, but then the characters come together again at this other place, and also there's this character that isn't in the show... Oh, and these characters that weren't on the show until Season 3 first appear in Book Two..."
Anyway. I really enjoyed this book and am sure I will enjoy the third in the series when I get around to it! But in the meantime, I've got a stack of books to read that's growing ever taller. And here's where you come in! I need you to add to my list. In particular, I am currently interested in reading YA books that show the main character in therapy—individual or group. I recently read Dr. Bird's Advice for Sad Poets (thoughts on that book HERE) and I have picked up the first two Ruby Oliver books by E. Lockhart. I want to see more examples of teens interacting with a therapist, so if you know of one I must check out, please tell me in the comments! I also want to read YA books about teens at camp. I'll take any camp books, fun or serious (or both! ), but I'd especially love to read about camps that are not your typical summer camp. For instance, I've picked up The Miseducation of Cameron Post and am eager to see how the book's "gay re-education camp" works. Got any other recommendations? I usually like to read the source material first, before the movie comes out or the TV show hits it big. I like seeing how my favorite characters and scenes will be interpreted on film. I even kind of like griping that "the book was better." I started watching "Game of Thrones" mid-season-one, and didn't want to read as I watched, but read Book One between seasons one and two of the TV series. And then I stopped. While I enjoyed getting the backstory filled in, seeing the depth of George R. R. Martin's vision of the world he'd created, and even noting the things that had been changed from book to show, I wasn't in a hurry to read Book Two. In fact, it's sitting on my desk behind my computer as I type this blog post. I'll get to it. I will. But season three of the show has been so surprising, and I have been so enjoying not knowing what's coming next, that I think I'd rather stay behind on the books. At least for now. But enough about me. (And enough about George R. R. Martin!) Do you read books before their movie/TV show comes out? Do you like spoilers? Or do you prefer to be surprised, even knowing that apparently everyone around you knows what's coming?